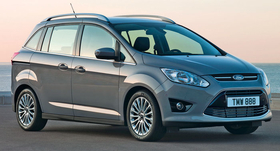 The Grand C-Max, now launching in Europe, may be called the Focus C-Max when it arrives here in January 2012. The C-Max is aimed at 30-something urbanites with families, Ford says. U.S. pricing likely will start below $25,000. NICE, France -- Ford Motor Co.'s upcoming seven-seat compact car will attract 30-somethings with families, the company says. The C-Max has rear sliding doors and folding seats to adjust to five or seven passengers, yet it's smaller than a traditional minivan. 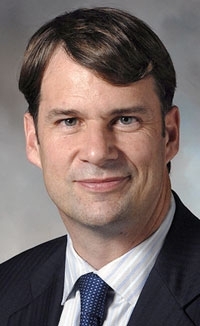 Jim Farley: The target buyer of the C-Max typically has a child or two and cares about fuel economy.